Discussion in '1st Gen Builds (1984-1989)' started by James, Apr 6, 2014. 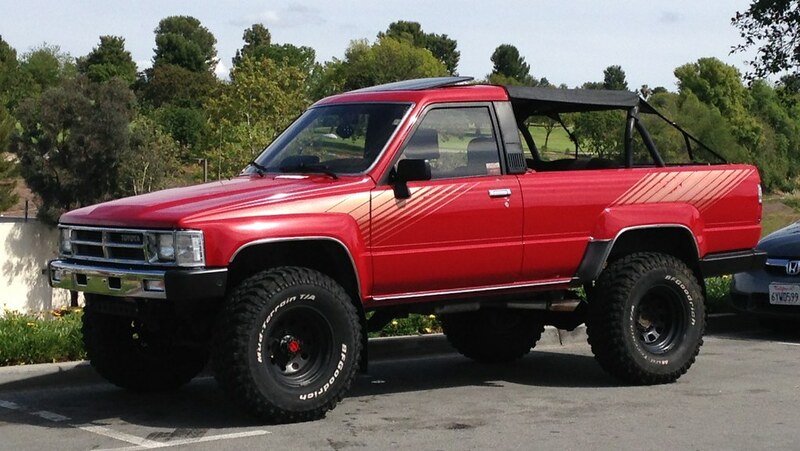 I reserve this thread space for my 87 4Runner Turbo, a truck I bought in 2012 from a junkyard. The truck is a build well into progress so I will edit this post when I can compile the general info together. LMR, PisaRunner, Murph and 1 other person like this. Wow, great looking build, James. So much beautiful. Every time I see this thing, I can't believe it was heading for scrap. 87 4runner, Gus. Our river ride. Where can I find a soft top like this? I am just bought an '87 model this weekend, looking forward to bringing it back to life!